SolidWorks is a simple 3D CAD parametric design software that can help you design complicated parts, mechanical components, in a very precise way in only few steps. SolidWorks not only can help you design, but it may also help you assemble parts, analyze, and simulate 3D parts under real world variables. How would you benefit from SolidWorks ? 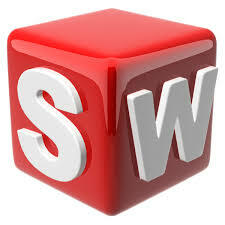 Basically if you are involved in any of the below, than SolidWorks is a must for you. SolidWorks' structure helps you focus on your design without worrying about the dimension and other details. How can learn SolidWorks ? We have over 10 years of experience in SolidWorks tutoring in Lebanon and in the Middle East. We can customize the course according to the industry/topics you may need. We can offer a 3D Printing service for 3D models (parts) built by SolidWorks or any other CAD software only within few hours.